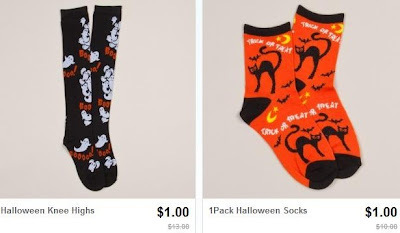 Kids Halloween Socks only $1 a Pair + Possible Free Shipping! Check out Totsy's Halloween Socks & Gloves sale to find cute Halloween themed socks and knee highs for only $1 a pair! You'll also find fun "toe socks" for $1.50 and gloves for $2.